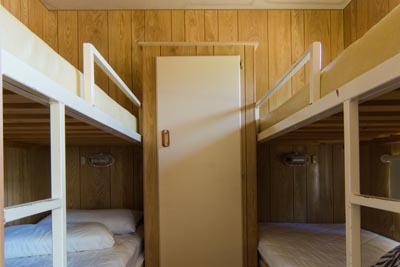 The park has three types of cabins available for visitors. 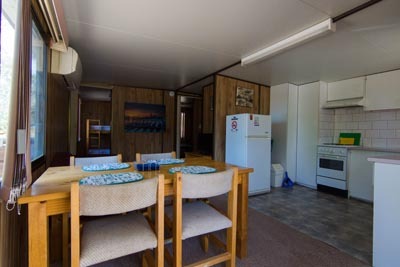 The self-contained cabin is the ideal for a large family or group of friends. 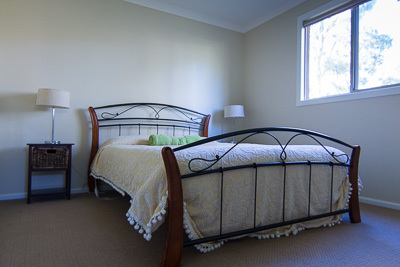 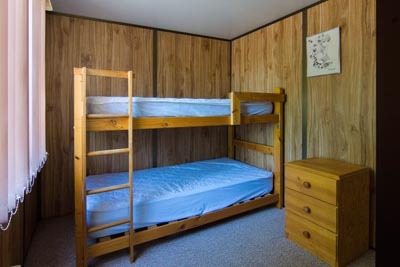 It offers a queen size bed in the main bedroom and two bunks in the second bedroom. 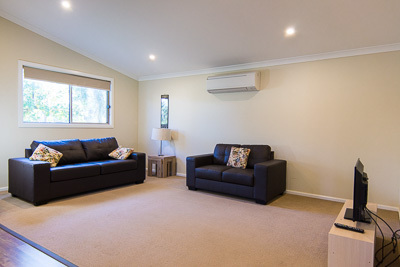 A fold out sofa bed in the lounge areas enables the cabin to accommodate 8 guests. 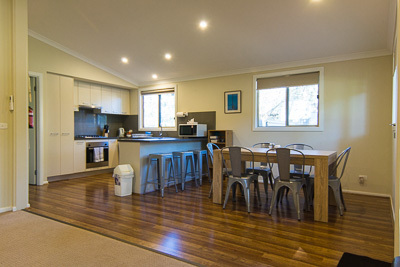 There is a spacious kitchen, dining and lounge area featuring fridge, cooking facilities and dishwasher. 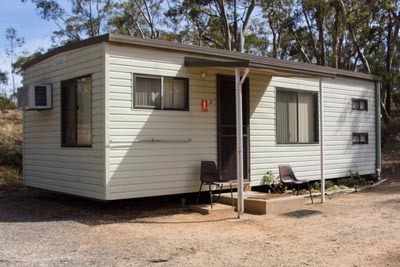 Excellent modern accommodation. 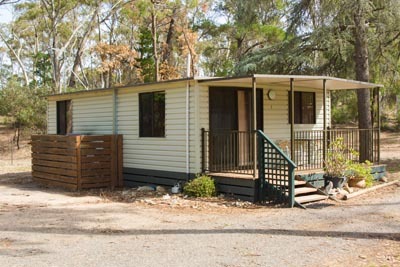 The Spacious Cabin is the ideal, roomy cabin for the family contemplating an extended stay. 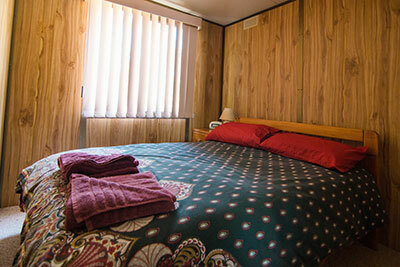 It offers a queen size bed in a separate bedroom and two bunks for others. 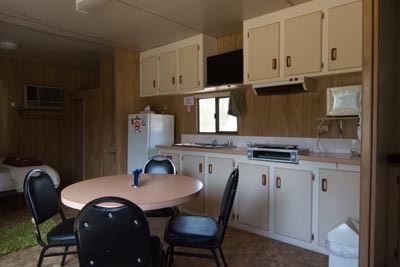 There is a spacious lounge and kitchen area complete with fridge and cooking facilities. 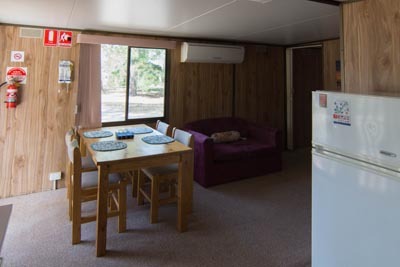 The verandah on the front of the cabin makes an ideal place to sit and enjoy a coffee while watching the world go by. 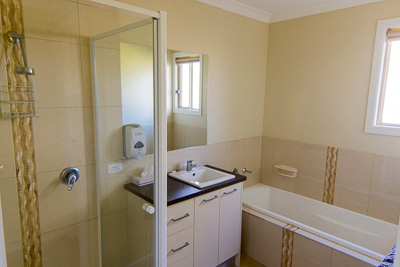 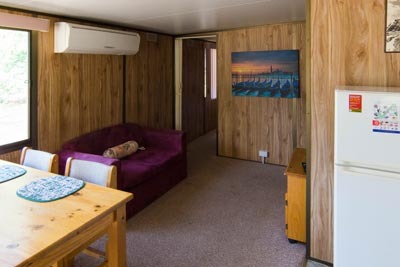 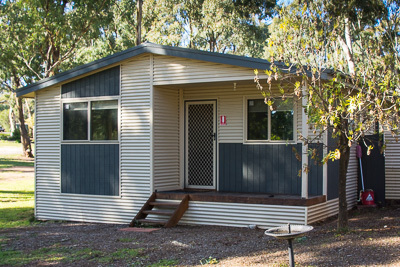 Two spacious self contained, en-suite cabins with air conditioning and heating. 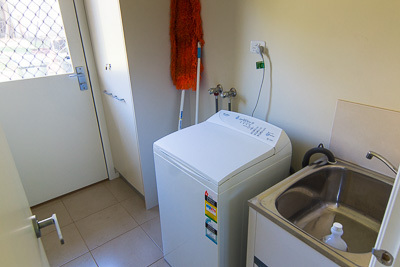 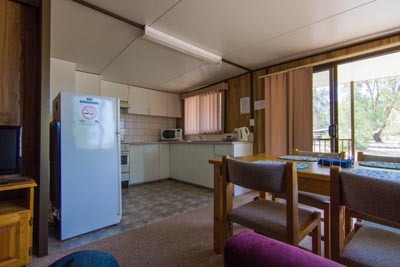 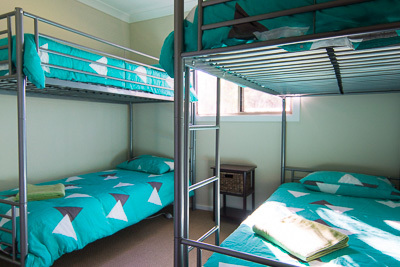 Both cabins have a TV and microwave, full sized fridge, double bed and separate room with two sets of bunks. 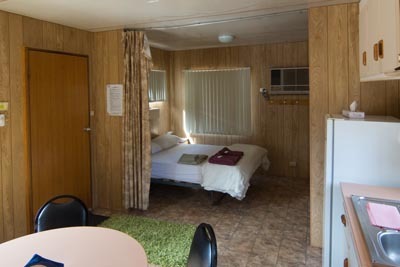 Each cabin can accommodate up to six people.